The Globe and Mail led all newspapers in Canada with six awards in the 60th National Newspaper Awards competition. The Toronto Star was next with 4, followed by Montreal’s La Presse and The Hamilton Spectator with two each. The Ottawa Citizen, Calgary Herald, The Canadian Press, London Free Press, Montreal Gazette, Lethbridge Herald, Simcoe Reformer, and The Toronto Sun had one each. There were 66 finalists in the 22 categories. The entries in this year’s competition were for works that appeared in the year 2008. There were 1,385 entries, the fourth highest in NNA history. 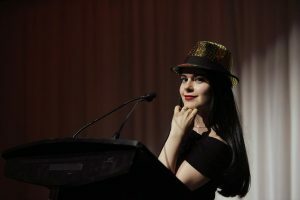 The winners were announced at an awards ceremony in Montreal on Friday, May 22 during the Canadian Newspaper Association conference. Winners received cheques for $1,000 and a certificate of award. Runners-up received citations of merit. This is the 20th year for the NNAs under a Board of Governors which includes editors, publishers and the public from across Canada as well as representatives from the Toronto Press Club. Previous to 1989, the NNAs had been sponsored by the Toronto Press Club. The awards are administered from the National Newspaper Awards office at the Canadian Newspaper Association. The National Newspaper Awards were founded by The Toronto Press Club in 1949. * André Pratte of La Presse in Montreal has won for the second straight time in Editorials. * Graeme Smith of The Globe and Mail has won for the second straight year in International Reporting. * This was the first year for an online category, Multimedia Feature. * Multimedia Feature: Winner: The Globe and Mail for its “Talking to the Taliban” multimedia project; Runners-up: La Presse in Montreal for a podcast of Saint-Laurent Boulevard that featured a self-guided tour and galleries of music, pictures and text; the Ottawa Citizen for marking the 70th anniversary of Superman’s debut with a multi-media presentation. * News Feature Photography: Winner: Lucas Oleniuk of the Toronto Star for a photo of a young female at a refugee camp in Kenya during morning prayers; Runners-up: Bernard Brault of La Presse in Montreal for a snowstorm photo; Chris Wattie of Reuters for a photo of former Liberal leader Stéphane Dion staring at Prime Minister Harper. * Beat Reporting: Winner: Michelle Lang, Calgary Herald, for health and medicine coverage; Runners-up: Rob Shaw, Victoria Times-Colonist, for reporting on policing issues; Jane Sims, London Free Press, for justice coverage. * Explanatory Work: Winner: Carolyn Abraham, The Globe and Mail, on diagnosing bipolar disorder in children; Runners-up: Martin Mittelstaedt, The Globe and Mail, for a scientific look at the Vitamin D phenomenon; and Catherine Porter, Toronto Star, on defacing coal country to keep electricity flowing. * Politics: Winner: Steve Rennie, The Canadian Press, for stories about the listeriosis crisis; Runners-up: Linda Diebel, Toronto Star, for political insider stories, including power politics; Jeffrey Simpson, Brian Laghi, The Globe and Mail, for a study of Prime Minister Harper. * Short Features: Winner: Kenneth Kidd, Toronto Star, for a story on a magical Toronto park. Runners-up: Fabienne Couturier, La Presse, Montréal, for an intimate feature on the sights and sounds of a street in Bruges, Belgium; Linda Gyulai, The Gazette in Montreal, for an amusing story on road cones. * Local Reporting: Winner: Monte Sonnenberg, Simcoe Reformer, for stories about the Ontario government’s Home Owner Employee Relocation plan that led to changes; Runners-up: Gordon Hoekstra, Prince George Citizen, for stories about the state of the forest industry in B.C. ; North Bay Nugget team for coverage of an e-coli outbreak at a local hamburger fast food outlet. * Presentation: Winner: Julien Chung, Philippe Tardif, La Presse, Montréal; Runners-up: France Dupont, La Presse, Montréal; Catherine Farley, Sharis Shahmiryan, Toronto Star. * Special Project: Winner: The Globe and Mail for a series about mental health issues in Canada; Runners-up: The Hamilton Spectator for following a pig from birth to a meal to illustrate agriculture, economic and environmental problems facing farmers; Toronto Star for the financial and social costs associated with tougher penalties on crime. * Sports Photography: Winner: Derek Ruttan, London Free Press, for a close-up shot of a high school football player fumbling the ball. Runners-up: Tony Bock, Toronto Star, for a photo of a Canadian women’s soccer player giving the one-finger salute to a Brazilian opponent in a friendly soccer match; J. T. McVeigh, The Barrie Examiner, for an amusing shot of a defender holding onto an opponent’s undergear in a high school football game. * Business: Winner: Sinclair Stewart, Paul Waldie, The Globe and Mail, for an analysis of the causes and consequences of the sub-prime mortgage crisis; Runners-up: Sophie Cousineau, La Presse, Montreal, for a story about how residents in an isolated Quebec community are dealing with layoffs in the forest industry; The Record of Waterloo Region for a probe into a pyramid scheme that involved raising pigeons for profit. * Columns: Winner: Christopher Hume, Toronto Star; Runners-up: Eric Reguly, The Globe and Mail; Doug Speirs, Winnipeg Free Press. * Investigations: Winner: David Bruser, Moira Welsh and Andrew Bailey of the Toronto Star for a probe into workplace safety and the role of the WCB; Runners-up: Sue Bailey and Jim Bronskill of The Canadian Press for an investigation, with the CBC, into the increasing use of tasers by police forces; David Pugliese, Ottawa Citizen, for insight into a helicopter crash that killed three and injured four others. * Arts and Entertainment: Winner: Jennifer Wells, The Globe and Mail, for a portrait of the head of CBC’s English radio and TV services; Runners-up: Marty Klinkenberg, New Brunswick Telegraph-Journal, for profiles on two of Canada’s last living war artists, the Fredericton-based Bruno Bobak and Molly Lamb Bobak; Elizabeth Withey, Edmonton Journal, for stories of three Canadian artists, two in music (Bill Eddins and Brian Deedrick) and one author (Miriam Toews). * Sports: Winner: Red Fisher of The Gazette in Montreal for a critical feature on former Canadiens great goaltender Patrick Roy who had his number retired by the Canadiens; Runners-up: Steve Milton of The Hamilton Spectator for a story on the near-fatal hockey incident when Florida Panthers’ Richard Zednik’s throat was slashed by a skate blade; Randy Turner, Winnipeg Free Press, for a study of the premature deaths and long-term injuries of professional football players. * Feature Photography: Winner: Ian Martens, Lethbridge Herald, for a shot of a full moon providing a backdrop for a wedding photograph being taken by another photographer; Runners-up: John Lehmann, The Globe and Mail, for a photo of naked members of a skinny dipping club bowling; Steve Russell, Toronto Star, for a photo of the reflection caused by balloons after a rainstorm during Toronto’s Luminato Festival. * International Reporting: Winner: Graeme Smith, The Globe and Mail, for investigations from Afghanistan, including the Taliban’s growing grip on Kabul; Runners-up: Stephanie Nolen, The Globe and Mail, for coverage of Kenya’s disputed elections; Michèle Ouimet, La Presse, Montreal, for stories from the dangerous Peshawar region of Pakistan. * Editorials: Winner: André Pratte, La Presse, Montreal; Runners-up: Phil Tank, Brantford Expositor; John Geiger, Adam Radwanski, Edward Greenspon, The Globe and Mail. * Editorial Cartooning: Winner : Cameron Cardow, Ottawa Citizen; Runners-up: Brian Gable, The Globe and Mail; John B. Larter, Calgary Herald. * Long Features: Winner: Jon Wells, The Hamilton Spectator, for an account of the rich life and tragic death of a good man; Runners-up: Andrew Duffy, Ottawa Citizen, for a story of a sad one-sided love affair between a disabled man and female swindler; Denise Ryan, Vancouver Sun, for the tale of a first nation’s treasure that finds its way home. * News Photography: Winner: Dave Abel, The Toronto Sun, for a photo of a takedown of a young bank robber by an off duty officer and heavily-armed ETF; Runners-up: Dan Janisse, The Windsor Star, for a photo of firefighters cutting the roof off a car to rescue a trapped man and woman trapped; Ted Rhodes, Calgary Herald, for a photo of a distraught woman who has just learned her son was the victim of a murder. * Breaking News: Winner: Hamilton Spectator’s team for coverage of the C difficile outbreaks in Ontario; Runners-up: Calgary Herald team’s coverage of the Lall family murders; Chris Morris of The Canadian Press for stories of a New Brunswick minibus crash that killed seven high school basketball players.